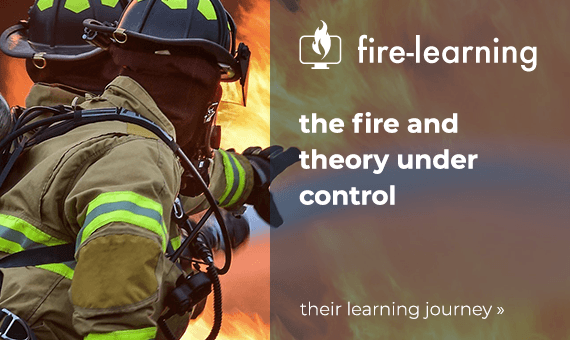 Learning on the job may sound easy, but it is quite a challenge to do properly. 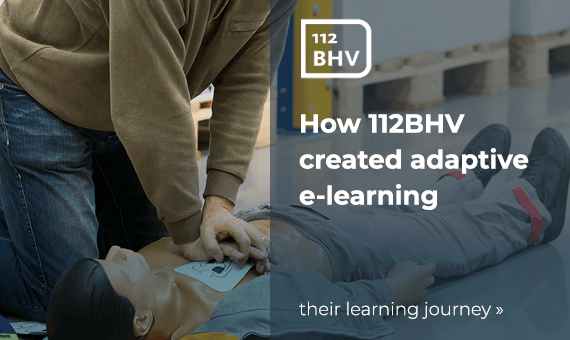 A very effective programme was created by combining e-learning modules, animations, videos and assignments. 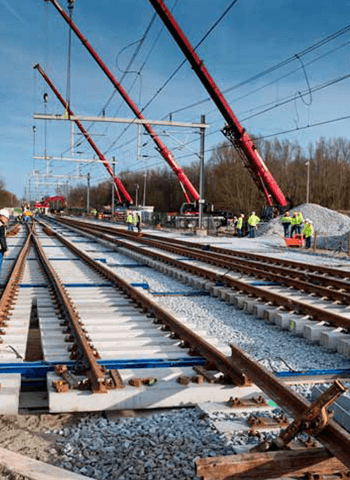 Railcenter is the Dutch knowledge center for railway infrastructure. In the past, they mainly offered a wide range of training programmes related to railway infrastructure. In recent years, they have developed a broader and increasing scope. While they still offer training, they now also bring together multiple experts and stakeholders in the railway industry. The programme can only be started on set dates. The programme includes seven days of classroom training and a period of practice on the job. It can take up to six months before a participant is certified. Decrease the time to competence while taking into account personal learning preferences. Allow participants to achieve a higher competence level than that achieved by using the existing programme. Learning on the job may sound easy, but it is quite a challenge to do properly. The learning and performance support design has to be spot on. The design needs to clarify and support the responsibilities and roles of all stakeholders. Railcenter uses a triangle as a basic framework to put this in place. 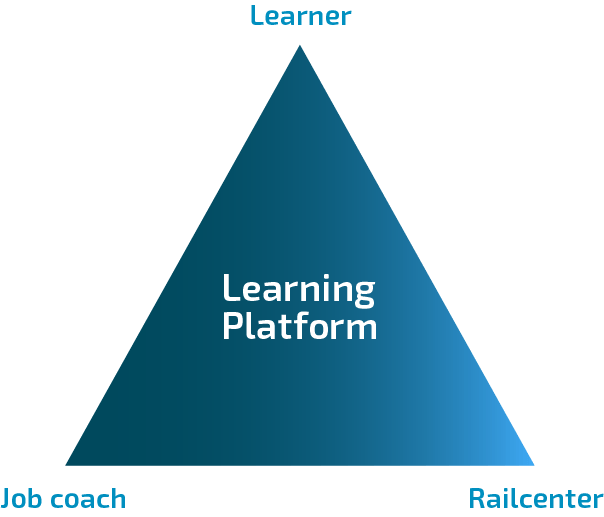 Railcenter connects the learner with the learning provider and the job coach. The learning platform plays a central role by connecting all parties. The job coach is an experienced colleague who guides the learner on the job. His role is very important. The job coach has to be supported with relevant information, tools and skills. In the design of the programme, there is a strong emphasis on ‘on-the-job’ assignments. The Chief Workplace Safety programme starts off with an intake. A test identifies what a participant already knows. A 360° analysis helps clarify the skills a participant has already developed. What follows is a learning contract between the job coach and the participant. Having the participant sign a learning contract improves the success rate, as the participant feels more committed. 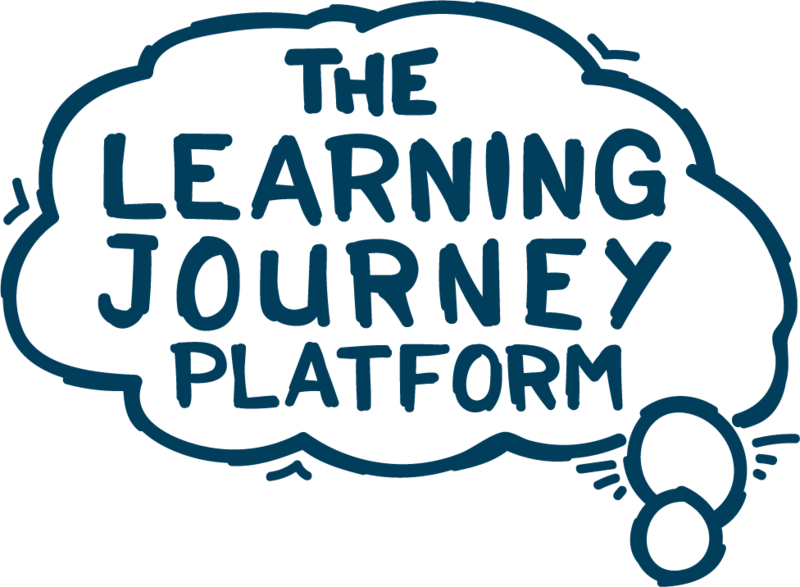 The learning journey itself consists of e-learning modules, animations, videos and assignments. The MemoTrainer helps participants practice various questions and an online app provides reference material. Railcenter created a new Chief Workplace Safety programme based on the learning triangle. Participants complete the training programme in 6-10 weeks, as opposed to the 4-6 months with the original programme. The time gain is a result of two things. First, it’s no longer required to sign up for, wait for and sit through a seven day classroom training. The programme starts immediately after the intake. Second, the online learning platform helps participants obtain the theory and guides them through various assignments. Redesigning the programme meant that a lot of work had to be done. The lessons providing the theory had to be designed. In this programme, 10 theoretical lessons (containing SCORM modules) are available. The on-the-job learning part is structured and supported by assignments. Creating all the on-the-job assignments was quite an effort. A total of nine assignments were created. Job aids or performance support tools were developed. They were distributed through the platform and the MemoTrainer app. To prepare for the external certification by railAlert, four practice tests were designed. Over 220 questions were developed to be used with the MemoTrainer function. A 360° feedback function was also developed for the programme. Background information related to each task was included in the platform as a set of PDFs. All of the on-the-job assignments that are done by the participants are reviewed by the job coach, so feedback can be provided and, if necessary, rework can be done in a way that is well documented. Reviewed and finalised assignments are gathered in a digital portfolio on the platform. In this learning-on-the-job learning approach, the role of the job coach is crucial. That means that job coaches have to be supported to make their role as easy as possible. It starts with a clarification of the role and the responsibilities related to it. Commitment related to this role is crucial, not only from the job coach himself, but also from the organisation he is working for. It is a serious role that takes time (and thus money) to do properly. That is why Railcenter starts with an intake conversation to clarify what is needed for success and to check for commitment. 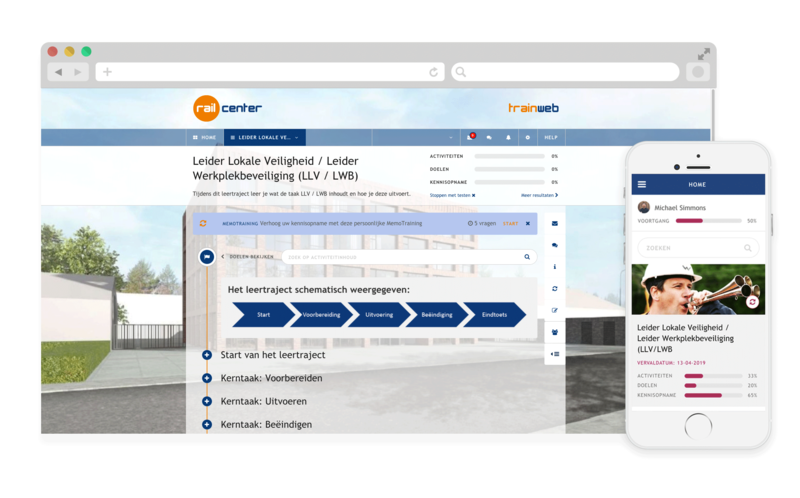 Job coaches have to be introduced to the learning platform, as this will help them in their job. They have to fully understand the assignments, including how to review them. Of course, they need to be able to give guidance on the job and be skilled in how to coach learners. This means that when you choose an on-the-job learning approach, some of the design effort is focused on the learner and a big chunk is focused on the job coach. Participants in classroom training often say that storytelling/sharing experiences by the trainer is a great help. In this programme, that is still the case. The coach has a lot of experience and shares it throughout the programme. Start with a clear concept of the learning design. Be sure to have the commitment of all stakeholders in the programme: the learner, the job coach and their managers. Support the job coaches so they are able fulfill their role in the best way possible. The profit for the employer is not financial. They save money on the classroom training, but they have to spend money on the on-the-job coaching. The cost of the programme is the same or perhaps even higher than that of the traditional training. The ‘profit’ lies in the fact that the time to competence is shortened. 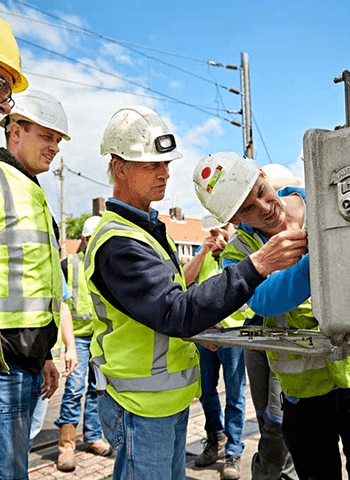 In addition, the new programme develops more competent employees, which leads to a higher success rate and a lower number of safety incidents.